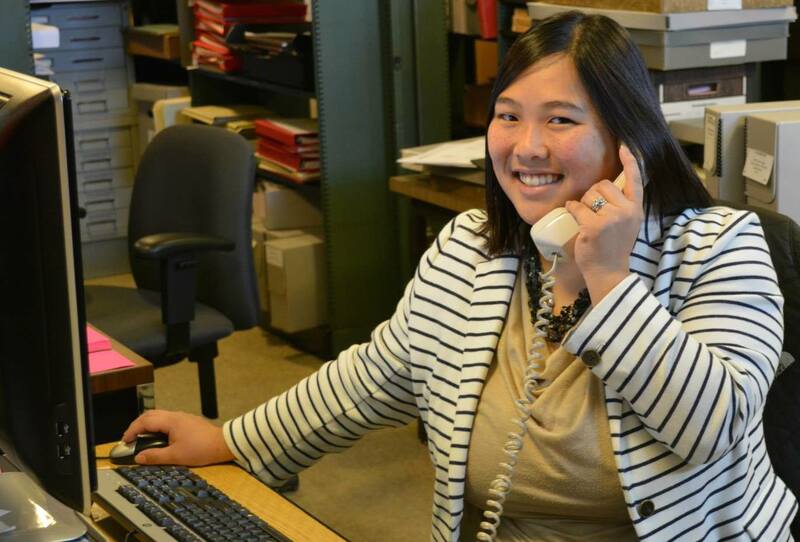 The University Archives is the memory center for Denison’s history. The Archives holds photographs, papers, letters, student scrapbooks, departmental files, faculty research, and more. These items collectively tell the story of Denison’s past in order to help inform its present and future. The Archives catalog (Archon) contains “finding aids” that describe collections and sometimes include inventories of boxes and folders. Note: this catalog is in the process of being built, so only a small percentage of our actual holdings are represented. If you can't find something relating to your topic, please email us! The Library’s Special Collections hold a variety of rare, collectible, unusual, and fragile books. It includes medieval manuscripts, artistsbooks, limited edition classics, sheet music, Bibles, and more. The Denisoniana collection contains books written about and published by Denison University, its faculty, and its alumni. 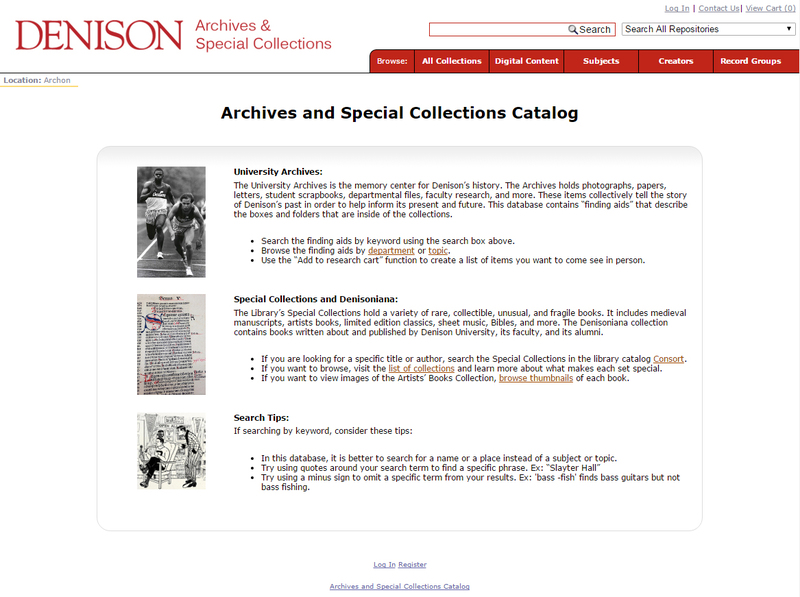 If you are looking for a specific title or author, search the Special Collections in the library catalog Consort. If you want to read more about each collection, visit the list of collections and learn more about what makes each set special. We'll ask you questions about your topic, a date range, and any kind of resource requirements (like primary sources)that you have. We'll identify a few items or collections that best match your topic. We'll set up a time for you to come and take a look at the materials. Keep in mind, when doing advanced research in the Archives, you'll need to set aside adequate amount of time to read handwritten documents and carefully handle boxes of materials. Once you go through the collections, we'll re-evaluate your research path and see if you need to look at anything else. We'll make another appointment if you want to come back and we'll do it all over again!